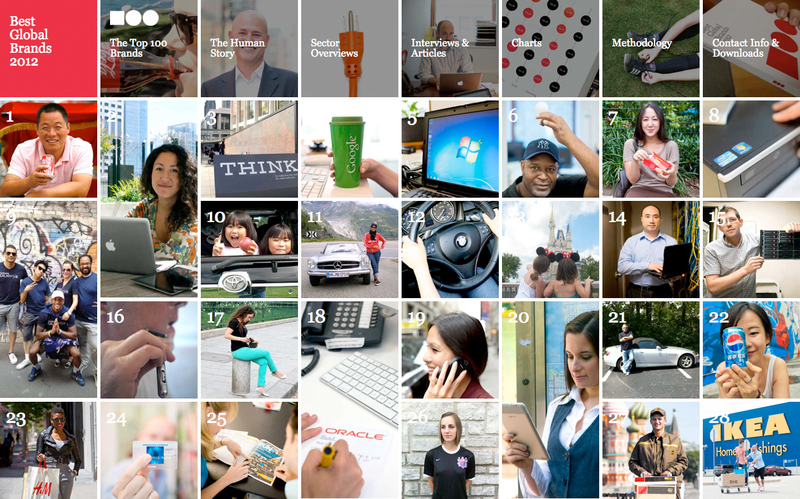 So, this just came out: Interbrand’s 2012 report on Best Global Brands. If anyone needs me, I’ll be immersed in this for the next several days. Farmhouse looks like a brilliant place to work. It also has a lovely identity system. Those colors. That restraint. And you’re missing out if you don’t go to their website, which is a showcase of using video for refined, appealing design. To draw your own version, listen to the sounds of nature, close your eyes, and draw a spiral, counter-clockwise from the inside, with seven rings. Keep your eyes closed as much as possible. The only rule is that the rings must never touch. Think about how we soar around the sun in a circle, only opening our eyes every now and then to realize the beauty of the place we live and to try and keep things on course. The spiral is a symbol found in nature, and among man’s earliest designs — the earth’s logo isn’t rooted in any single language or symbolic system, but in one of the simplest of universal forms, drawn without thinking by fingers in the dust. 2 Comments So Far, Add Yours! Back in April, Coke made my jaw drop with their “Hug Me” Coke machine. I said then, and still believe now, that if I were the one giving out awards for best branding, the competition would be over when that video dropped. But they’ve done it again. Coca-Cola, my hat is off to you. “Coca Cola Security Cameras” is a stunner, and you deserve all the goodwill that’s coming to you for this.